Home » » Students, Policemen Clash In Ibadan. Students, Policemen Clash In Ibadan. 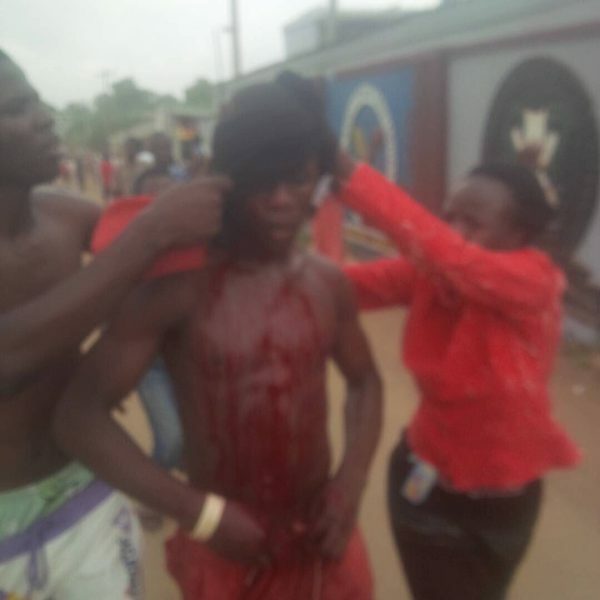 Four police officers have been hospitalised after a clash with students of the Federal College of Agriculture, Moor Plantation, Apata, Ibadan, Oyo State on Monday, November 13. The Oyo State Commissioner of Police, Abiodun Odude, who said this added that eight police vans were also damaged in the clash. The students had trooped to the Ibadan-Abeokuta road as early as 6.30am, blocking the main road linking Oyo and Ogun states, with many road users forced to take alternative routes to their destinations. It was learnt that the school’s rector invited the Police when the students blocked the main road. The students were said to be protesting against the school’s management, specifically calling for the removal of the Provost of the school, Dr. Babajide Adenekan. They said the call became imperative following alleged disagreement between Adenekan and members of the school’s Academic Staff Union of Polytechnic, Non Academic Staff Union and the Senior Staff Association of Universities, Teaching Hospitals, Research Institutes and Associated Institutions. A lecturer in the school who pleaded anonymity because he was not authorised to speak on behalf of the other staff members, said the issue had been on for more than a year. The source said, “There has been clashes between the provost and lecturers of the school. “Some lecturers have been suspended and reinstated, while some claimed their allowances were withheld by the provost illegally. The claims are many. “But this time, the students decided to express their grievances over the provost’s administrative style, which they blamed for the several strikes and unnecessary delays in the school’s academic calendar. The students claimed that the police shot at them during the protest, with some of them allegedly sustaining gunshot injuries. They also claimed that a lecturer was injured in the melee. While revealing that the Police had arrested five students for their involvement in the clash, Odude confirmed that there had been several meetings between the school authority, the students and the Police on how to resolve the unending crisis in the school. “It has been an off and on situation. We have been on this for the past six months, meeting them and trying to resolve the issue. We have met the students’ union leaders and the school authority. “We told the students that they should limit their union activities within the school because once you deprive others the use of public facility, you are against the law. “Today (Monday), they blocked the main road during protest and we sent policemen there, but they became violent and attacked the policemen. “Four of them were injured and they are now in hospital. Eight police vans were also destroyed.